*sessions last one hour at a time, although many students stay for two, at a special price. Please call or email for details! ...studying with children, helping them to develop artistic taste, and instructing them in drawing and fine art. I see a creative soul in each of them, and am happy to be part of their lives. With each year I see their growth, along with the results of my teaching. Grateful always to their parents for their trust and encouragement, I conduct group and private sessions in my home studio, as well as at various Southern California locations. During lessons, students are introduced to the concepts of drawing and painting: form, volume, composition, light, shadow, and color. 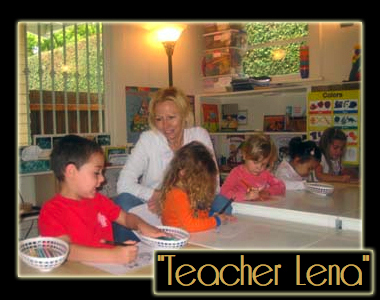 The purpose of the class is to develop the child’s aesthetic taste, as well as to inspire creative self-expression. Please use the Contact page to send me an email, or send a note to yelenaart@gmail.com so we can set something up! Feel free to call me any time at 323-610-2212. In addition to classes for children, I am available for one-on-one or group sessions for all ages. I find great joy in overseeing apprenticeships, mentoring, and simply being involved in the lives of other artists. Thank you for visiting my site, and hope to meet you soon!